Will go on sale in Europe in February 2017. 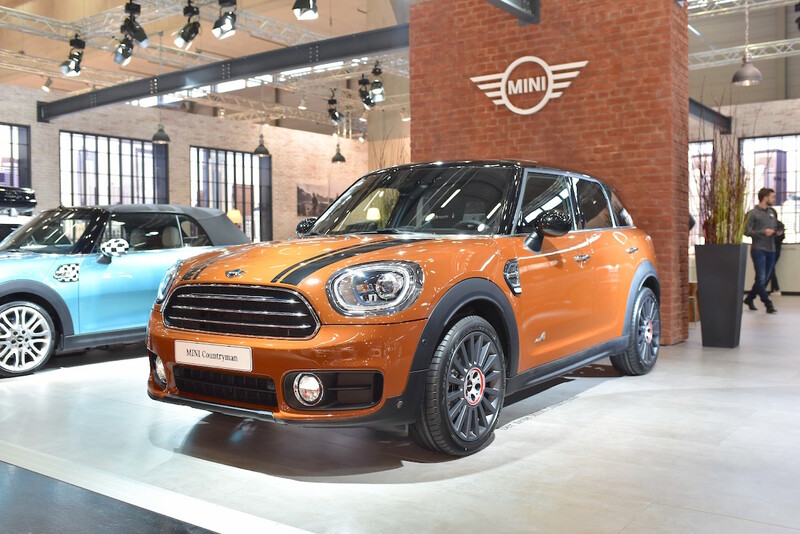 Alongside the 2017 BMW 5 Series, the BMW Group is holding the European debut of the 2017 MINI Countryman at the 2017 Vienna Auto Show which opened yesterday. Here are the second-gen Countryman's pictures from the Austrian show, emailed by Raphael from autofilou. The 2017 MINI Countryman is the biggest car in the brand's history. The 2017 MINI Countryman is the largest model the British marque has ever launched. Compared to its predecessor, the second-generation Countryman is some 20 cm longer, 3 cm wider and has a 7.5 cm longer wheelbase. The new generation MINI Countryman is underpinned by the UKL front-wheel-drive platform utilised by the entire new generation MINI family. 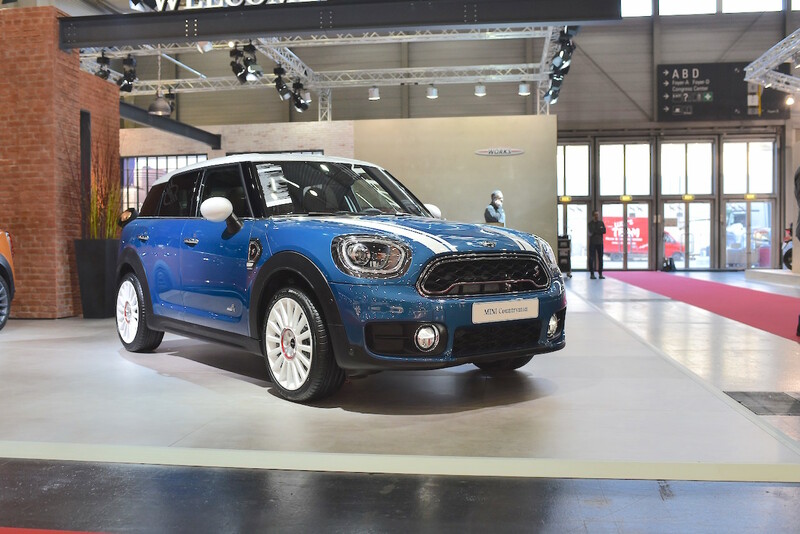 The all-new model comes with an evolutionary exterior design and a completely revamped interior which is in line with the new MINI family models. The 2017 MINI Countryman is available with 100 kW (136 hp) 1.5-litre MINI TwinPower Turbo three-cylinder petrol engine, 141 kW (192 hp) 2.0-litre MINI TwinPower Turbo four-cylinder petrol engine, 110 kW (136 hp) 2.0-litre MINI TwinPower Turbo four-cylinder diesel engine and 140 kW (190 hp) 2.0-litre MINI TwinPower Turbo four-cylinder diesel engines. 6-speed manual, 6-speed Steptronic automatic and 8-speed Steptronic automatic are the transmission choices. The UKL platform-based second-gen MINI Countryman is available with two petrol, two diesel engines and a plug-in hybrid variant for the first time. The second-gen MINI Countryman range includes a plug-in hybrid variant as well. The MINI Countryman S E Countryman ALL4's powertrain is a combination of the 100 kW (136 hp) 1.5-litre MINI TwinPower Turbo three-cylinder petrol engine and a 65 kW (88 hp) electric motor. The plug-in hybrid powertrain produces 165 kW (224 hp) and 385 Nm of torque and delivers a fuel economy of 47.62 km/l. In pure electric mode, the crossover provides 40 km range.